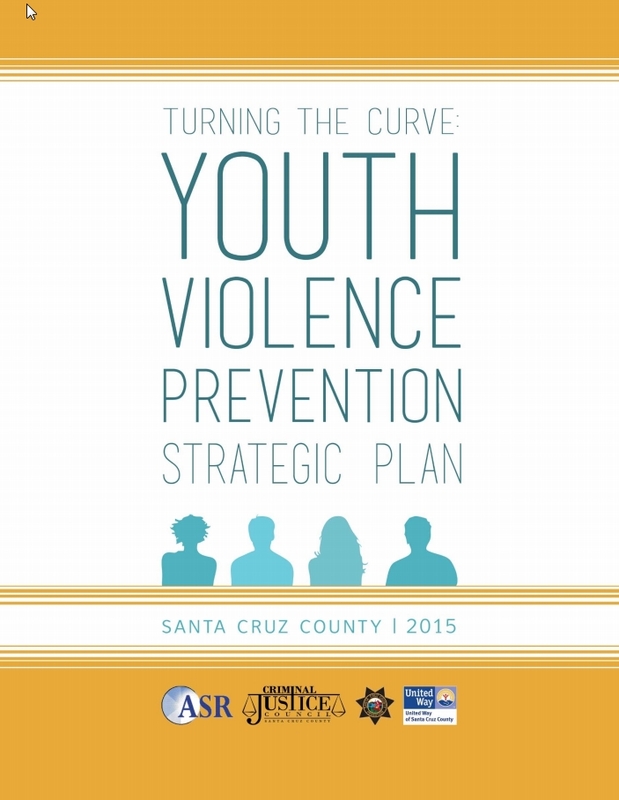 Youth violence has become a growing concern in Santa Cruz County. It both directly and indirectly impacts the health, quality of life and future of our youth and our community. 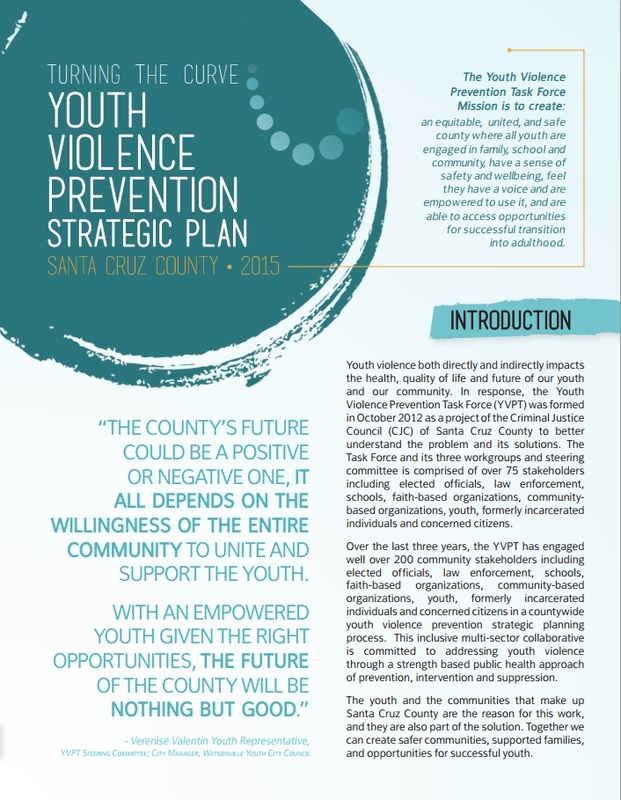 In response, the Youth Violence Prevention Taskforce was formed in October 2012 as a project of the Criminal Justice Council of Santa Cruz County to better understand the problem and its solutions. Made up of over 40 stakeholders including elected officials, law enforcement, schools, faith-based organizations, community based organizations, youth, formerly incarcerated individuals and concerned citizens, this inclusive multi-sector collaborative is committed to addressing youth violence through a public health lens, working to identify and implement evidence based, prevention focused and asset based solutions.